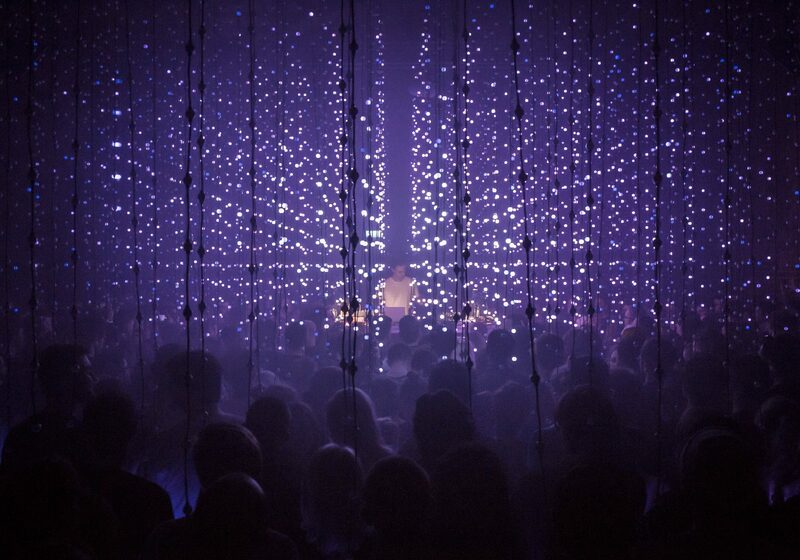 Combining quadraphonic sound with the hammered dulcimer samples we already love from Two Thousand and Seventeen, or the hang sounds from Lush, and it’s hard to imagine a better way to spend two hours of a blistering February winter. 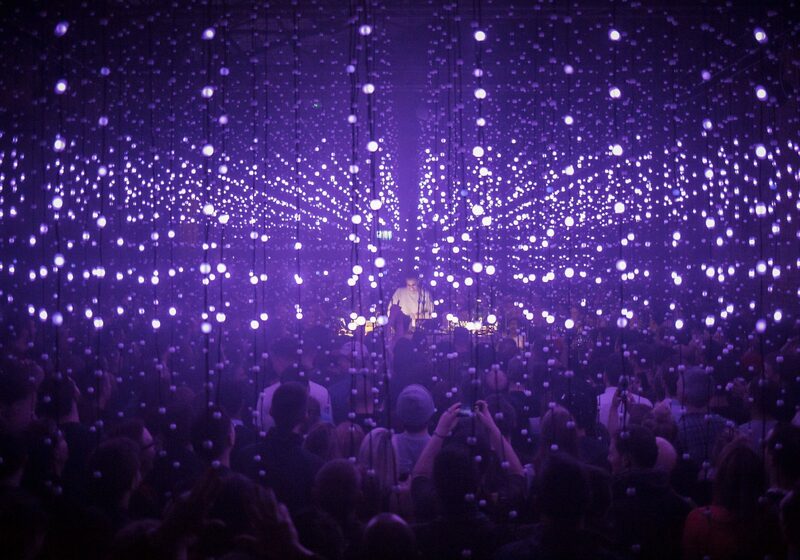 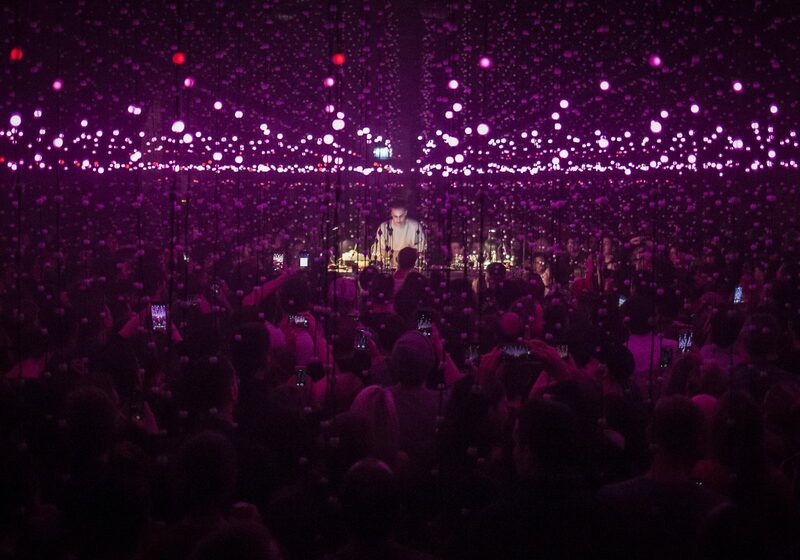 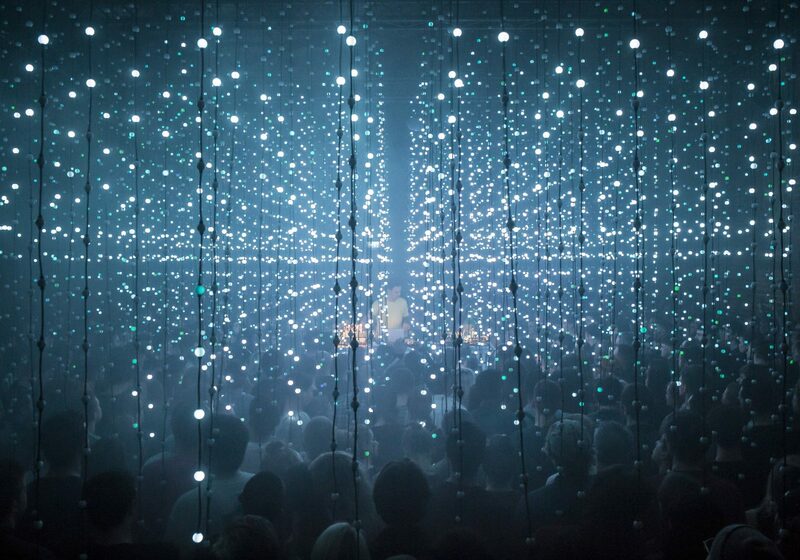 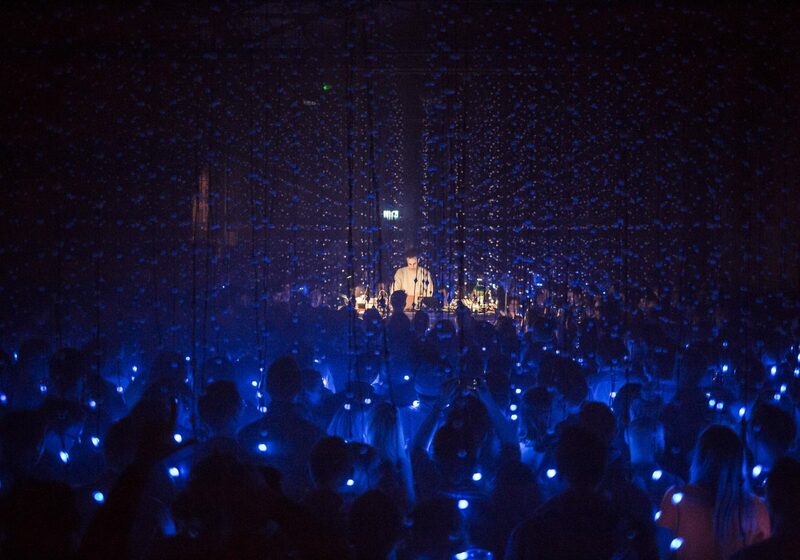 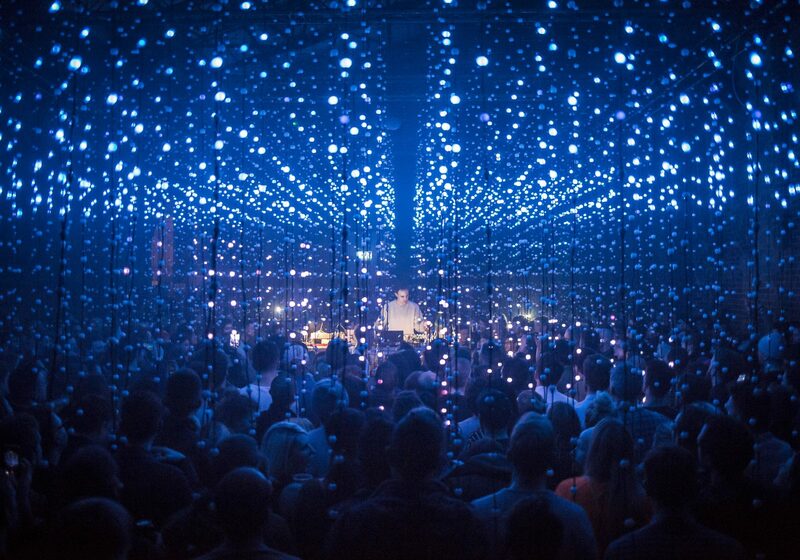 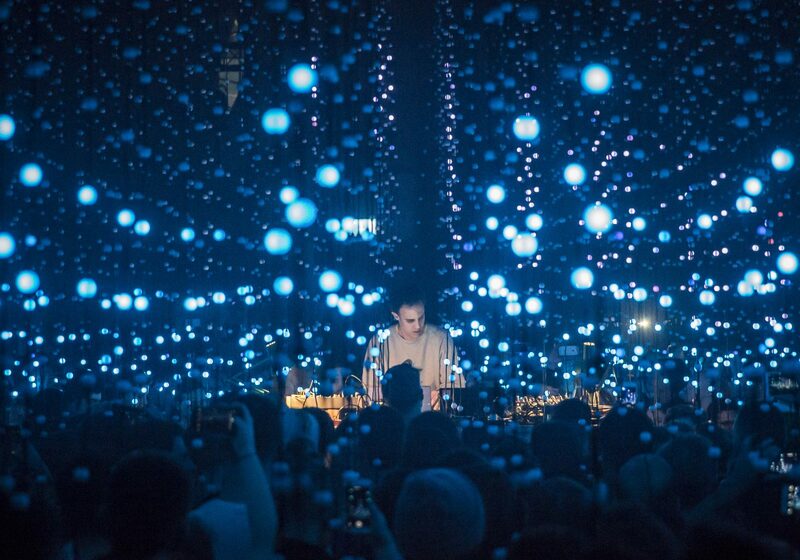 Inside the strings of lights (by VJ specialists Squidsoup, which were suspended from the ceiling and draped into the crowd), the effect was overwhelmingly calming and trance-like, with the audience staying remarkably still, focused and intent on watching Kieran’s every move. 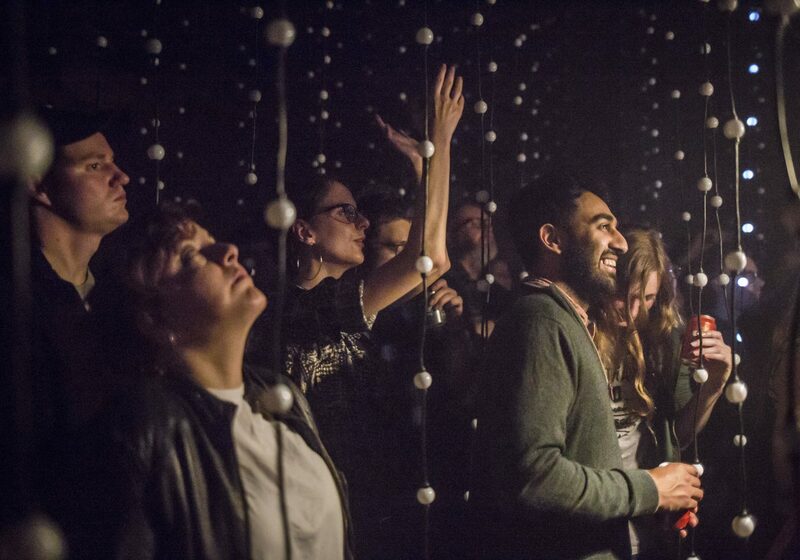 Outside the box, there was more freedom to engage with the space in another way, and dance without disturbing a neighbour. 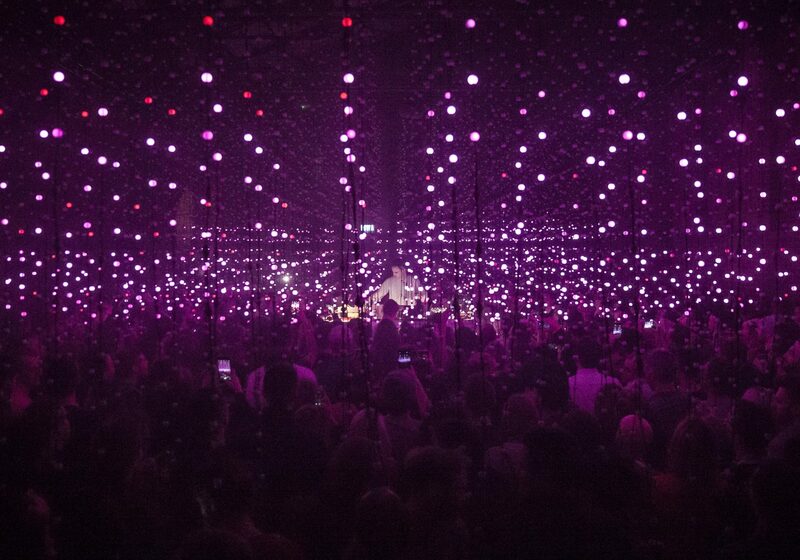 It was on the sidelines that parallels to Yayoi Kusama’s Infinity Mirrors were easier to grasp, with Kieran’s in-the-round stage set at the centre of the reflections. 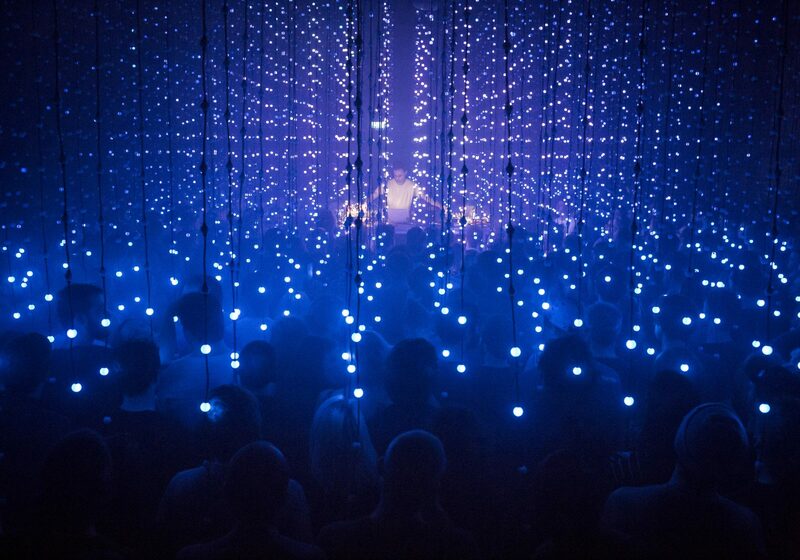 For something so abstract, metaphors were impossible to resist: Kool FM sounded, and looked, incredible, pulsed through multi-coloured bulbs forming a waterfall of light, while Daughter and Lush flickered in a phantasmagorical display. 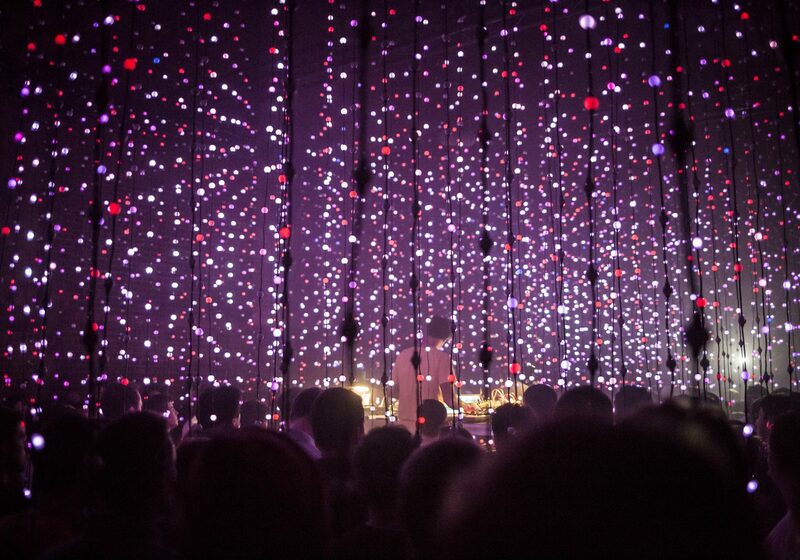 A forest of infinite colour, different at every turn of track, tempting to be physically lost in, reworked for every show. 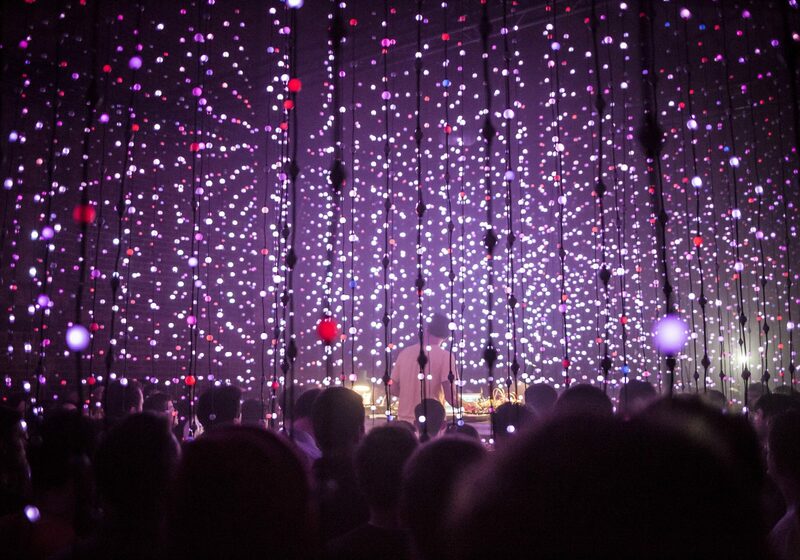 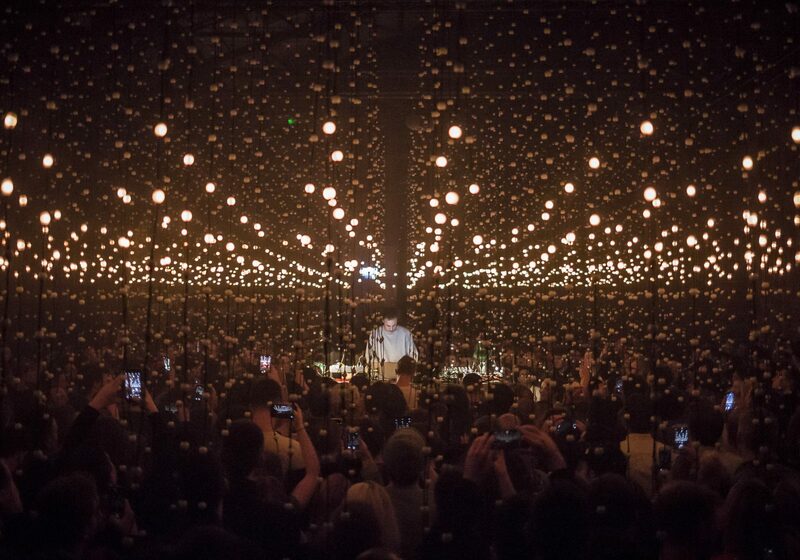 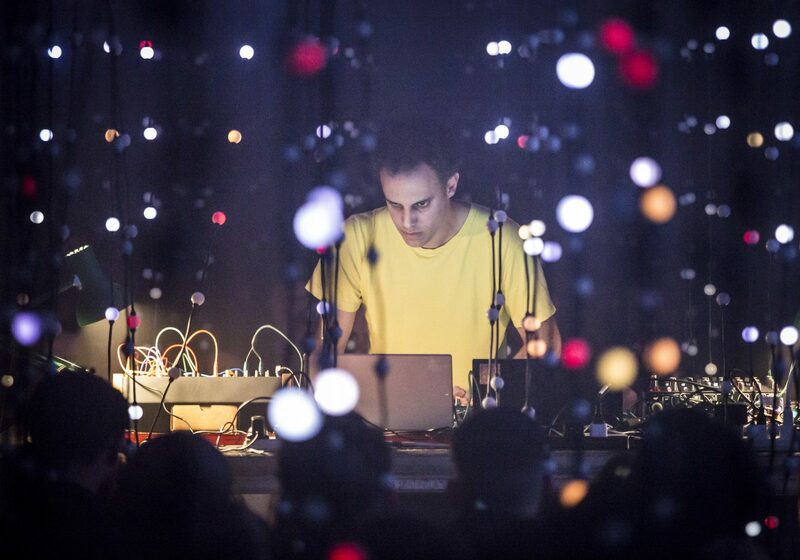 They say the simplest ideas are the best ones, and Four Tet’s four-day nirvana will change how we hear his music forever. 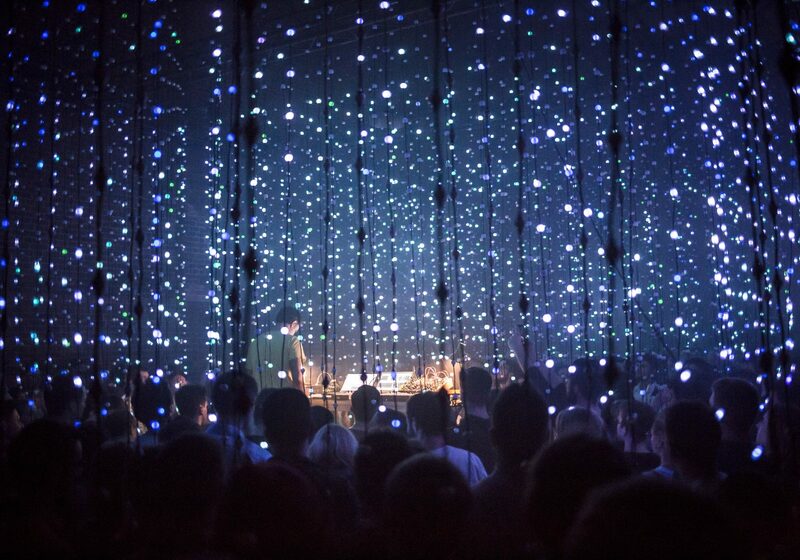 See the full Flickr gallery of photos by Paul Boyling here.